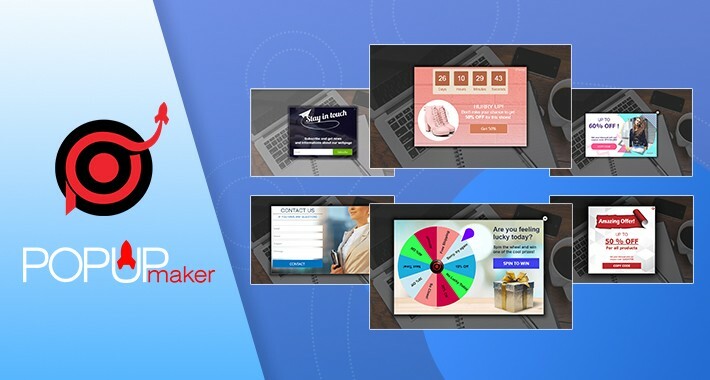 Popup Maker provides all famous popup types(exit-intent, spinner, countdown, etc) which can be created within a seconds. 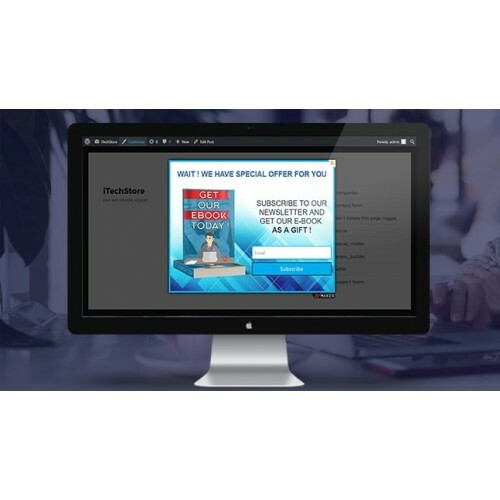 Popup Maker is a powerful marketing tool, helping website owners to promote their sales and increase conversion rates. 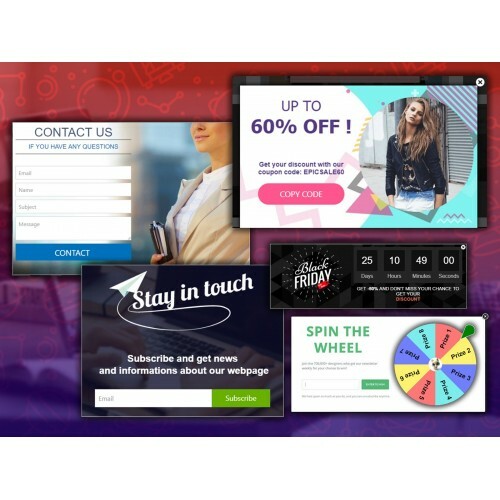 Popup Maker offers multifunctional popup tools that can build a solid marketing campaign for your website. 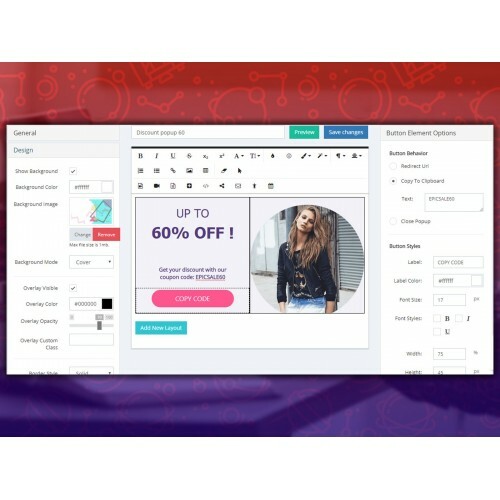 Popup Maker is super easy to use and has a very user-friendly interface, so anyone can build a beautiful popup within seconds. A great choice of beautiful popup templates is provided for easier setup. All the templates are easily customizable, so anyone can edit them to fit their specific needs. All the possible popup triggering events are presented in Popup Maker, so one can display a popup message in the best way for them. Among the presented popup triggering events are On load, On Scroll, Exit Intent (as well as Mobile Exit Intent), Inactivity, etc. Using the appropriate triggering event for specific circumstances will bring a guaranteed success to your e-business. 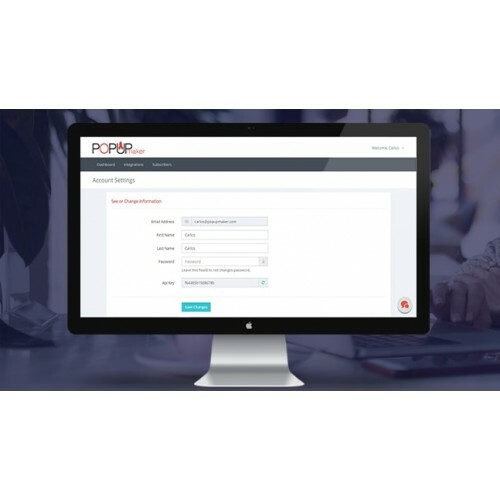 A rich scope of popup building elements are available in Popup Maker, like Subscription, Contact form, Spinner and many more. In addition, any element like videos, images or others can be added in the HTML editor of the popup to display the content you need. •	Iframe popup element – this is the best way of displaying other pages, websites, or other iframe content inside a popup. •	Subscription popup element – collect more subscribers and reach out to more customers on your site. •	Button popup element – include a button element inside any type of popup, making the popup campaign more interactive. •	Social popup element – get more popularity on a social network, sharing your content right through the popup. •	Contact form popup element – be closer to your customers, offer them your assistance in a more compact way, via popups. 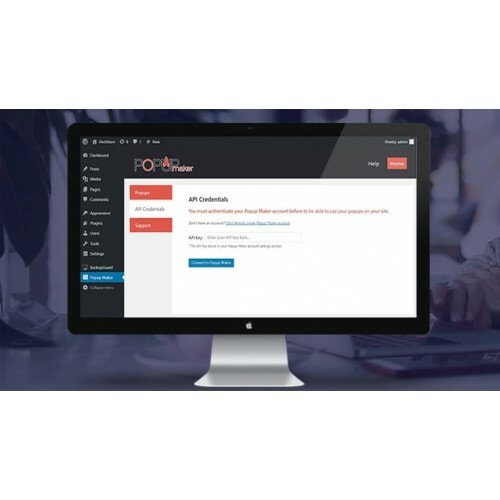 •	Age restriction popup element – restrict the adult content on your website with a restriction popup and make your website more professional. •	Countdown popup element – show time-limited offers, like sales, on your store and get more profit in a short time period. •	MailChimp popup element – generate your beautiful forms from your MailChimp account and collect subscribers straight to your lists. •	Spinner popup element – game-like offers with Spinner element will provide guaranteed conversions on your website. •	Facebook page popup element – collect more likes for your Facebook page, right through a compact popup. •	Google maps popup element – display your office (or other) location in a beautiful and interactive popup, make it easier for your customers to find you. •	PayPal popup element – promote more sales on your store using a PayPal button in an attractive popup. 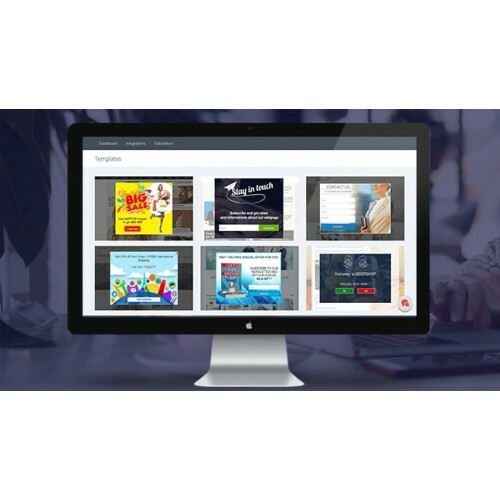 In addition to all these super-handy popup elements, Popup Maker offers more useful tools and integrations to make the promotion of your online business easier. Newsletter tool will help you to send periodical newsletter messages to your subscribers, which are stored in the Subscribers section of your Dashboard. Keep the connection with your customers and inform them about every single update on your website. 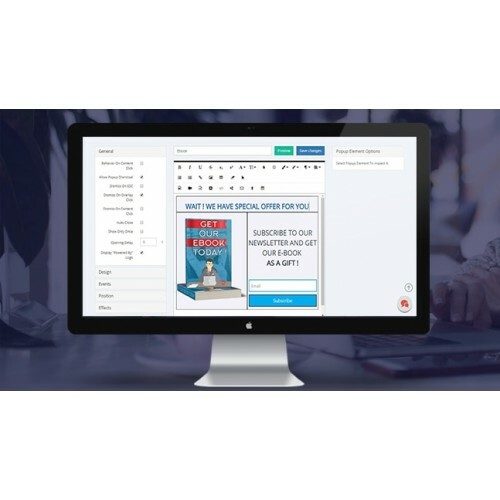 Autoresponder is another very important tool offered by Popup Maker to help you promote your sales. Construct productive autoresponder messages with discounts, free prizes, etc., to offer your customers and push them for more shopping on your store. Popup Maker Statistics and Google Analytics will help you detect the most productive popup types and build a more targeted popup campaign for better conversion rates. I was using popups form Pavothemes theme of Opencart and was quite disappointed. With Popup Maker it's much easier managing popups and they have tons of useful templates and options to add in popups. Great support team. Yes service is not free but they are giving more than any Opencart popup creating tool!! Finally somebody created a simple popup tool for Opencart. Fastest way to add popup to pages. Great support team and huge knowledge base, very simple, very easy to understand. Fives stars! I never used such cool popup managing app, it's enormously easy to manage popups on your web pages. No need to manually add a page element manually. Place your popup anywhere, even on a simple category or product. I'm shocked! Very simple. So easy to navigate, very very user-friendly and understandable. Great job guys, really love it! Highly recommended.